Asolo boots in the making. Luca Zanatta, whose family owns the Italian walking boot company Asolo, recently visited Bogong Equipment. We decided to write a short history on the company and why at Bogong we've chosen Asolo footwear for over 20 years. It's 2018, and the last customers on a Wednesday evening have just exited the building at 374 Little Bourke Street. Inside the quirky shop front of Bogong Equipment, where a painted-on skyline of Tasmania's iconic Federation Peak has lasted the ages, the lights are mostly off, and a motley crew of Bogong staff are corralled around stacked pizza boxes of assorted flavours. Amongst the group, a slight, silver-haired man with a bright smile shakes a few hands, introducing himself as 'Luca'. 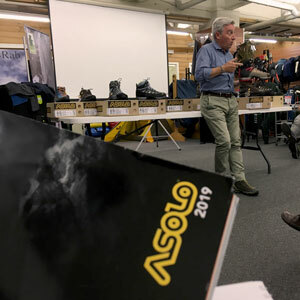 Luca Zanatta presents Asolo boots at Bogong Equipment. Luca is a member of the Zanatta family. Together with his two siblings, Anna and Marco, he owns the Italian hiking boot company Asolo. Luca's family came into the boot industry organically, via several generations. It started in 1932, in a little village in north-east Itally called Nervesa della Battaglia. Luca's grandfather opened a very small shop to repair shoes for the local people. By 1942, Nervesa della Battaglia was fully occupied by Nazi Germany. Even though the Zanatta family only repaired shoes, they were made to make boots for German soldiers. After the village was liberated by the Allies in 1945, the Zanatta family continued making boots, except this time for people who lived in their village and worked in the forest. Long story short, these boots grew into a brand Tecnica, which the Zanattas sold. Having sold the boot brand they'd built, the Zanatta's turned to their next project. 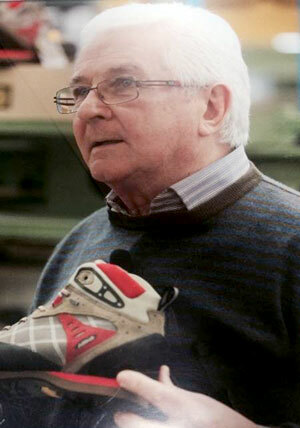 In 1998, the Zanatta family's third generation (Anna, Marco and Luca) bought the walking boot company Asolo – a brand that reflects the Zanattas' values as high-quality shoe makers. 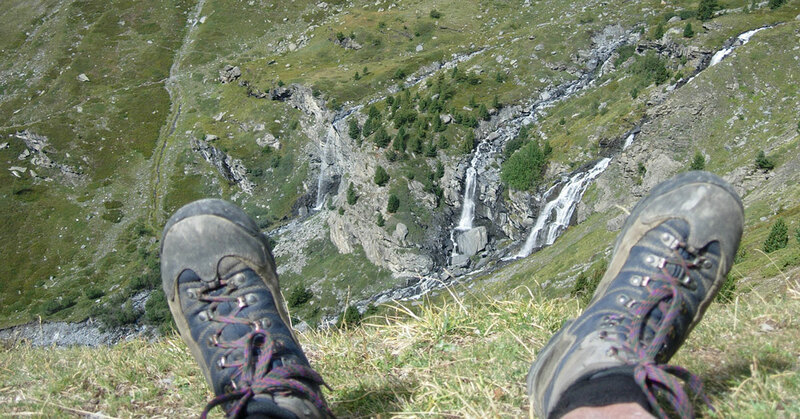 Today, Asolo is one of only six companies in the world that produce hiking boots and are 100% family-owned. Asolo doesn't manufacture shoes for anyone else and controls 100% of its production process, which guarantees the finest quality product. They do the entire manufacturing process in Europe, out of its own factories: its main production unit is in Romania. 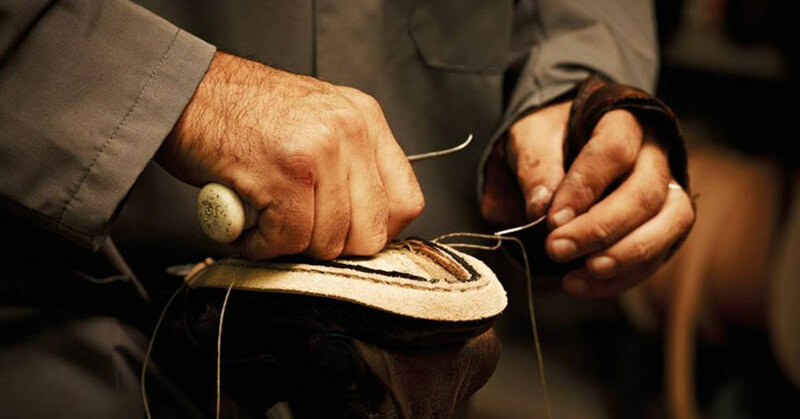 A huge 70% of their shoes are inspected at their headquarters in Italy. In fact, Luca's father Ambrosiano – who has largely stepped back from managing the company, at 78 years old, still wanders the factory. Luca grins as he tells us, in his thick Italian accent, "My father – you can hear him when anything goes wrong." Every one of the Gore-Tex components that go inside Asolo boots is inspected to ensure that the Gore-Tex has been temperature seam-sealed correctly. (If it's not, this renders the boot not waterproof). At Bogong, we were astonished to discover that Asolo checks 100% of its Gore-Tex booties – including both left and right shoes. That means that every Asolo Gore-Tex boot on every shelf around the world is guaranteed to be waterproof. 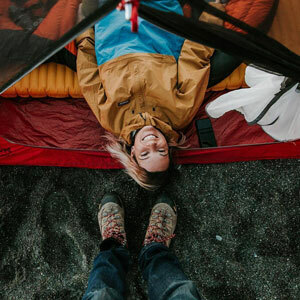 Aside from stringent quality control processes, Asolo also prides itself in its choice of materials, choosing only the highest quality components from reputable brands like Gore-Tex, Schoeller, Perwanger and Vibram. In fact, while Asolo's outsoles are made by Vibram, they aren't Vibram's 'off-the-shelf' soles. 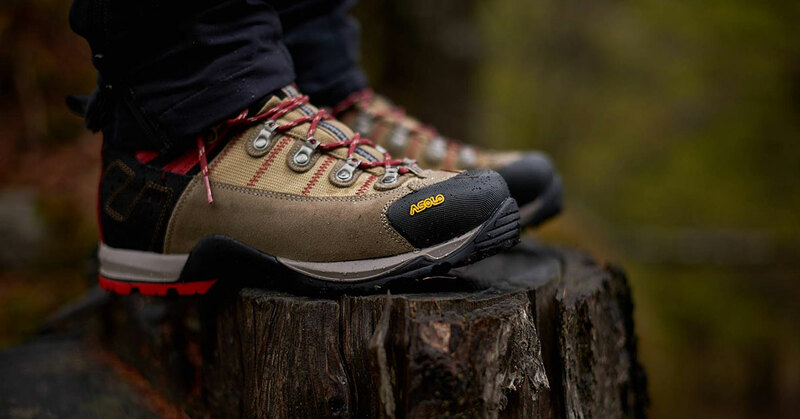 The outsoles on Asolo boots are made by Vibram specifically and solely for Asolo. Asolo Fugitive GTX hiking boots. The other reason we're proud to stock Asolo boots at Bogong is for Asolo's take on corporate responsibility. Asolo only works with suppliers that respect European environmental laws that guarantee fair, environmentally sound manufacturing conditions; as well as products free of or low in hazardous substances. For instance, the leather used by Asolo is sourced mainly from European cattle – specifically, the Mastrotto company in Arzignano and the Perwanger Leather tannery in Tyrol. Both these suppliers have an environmentally and socially responsible production philosophy that aligns with Asolo's. For all of its products, Asolo has created a 'Restricted Substances List', which is a list of prohibited materials or those that can only be used in limited quantities. This list is in accord with CADS guidelines. Asolo doesn't use any leather tanned using hexavalent chromium, and it only uses C8-free impregnations and shoe creams. Asolo is committed to phasing out all waterproofing agents containing PFCs. More, Asolo doesn't use nanotechnology, deodorants, biocides and antifungals. What's more, Asolo requires all its suppliers to sign Asolo's code of conduct, which is based on international standards and references in particular the UN Declaration of Human Rights. The Code of Conduct expresses minimum requirements where it comes to environmental protection, child labour (prohibited), working hours, wages and workplace health and safety, and more. See our range of Asolo footwear. Bogong owner Neil Blundy walked in these boots for 2000km over 97 days with 120,000 vertical metres climbed. Read his blog here.